The film will be released in a few months after a historic crowdfunding campaign, and will star movie and television star Dean Cain. It will be a necessary tool to show moviegoers across the country just how horrific Gosnell’s crimes were — especially considering the pro-abortion media virtually ignored the case, with one reporter even derisively referring to it as a “local crime story.” In reality, it was a huge story that should have been nationwide news. 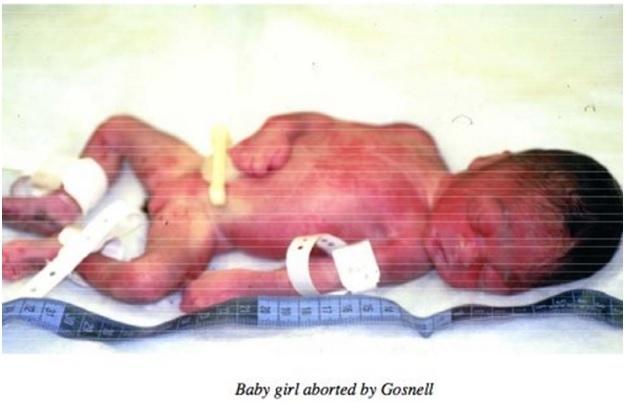 Kermit Gosnell had been practicing for decades, and he not only murdered babies, but left butchered women in his wake. When authorities finally chose to act, Gosnell was arrested, and eventually convicted of the murders of three infants, as well as of the involuntary manslaughter of one of his patients who received a drug overdose and died. But while he was only charged with three murders, it is believed that he murdered many, many more infants. Most disturbingly, local officials knew that there were problems with Gosnell’s abortion facility, and looked the other way. Gosnell’s facility had violations dating as far back as 1989. Multiple women suffered injuries and even death due to botched abortions. Flea-infested cats were permitted to roam the facility, and Gosnell allowed unlicensed workers to give anesthesia to women. Officials even knew that the bodies of aborted babies were being kept in paper bags, and received tips that Gosnell was committing abortions after 30 weeks, which is illegal in Pennsylvania, but took no action. It wasn’t until the FBI raided Gosnell’s facility in 2010 that he was finally stopped. There was blood splattered throughout the facility, cat feces on the floor, and it stank of urine. Dozen of corpses of aborted babies were found frozen in the facility’s freezer, and severed feet were displayed in jars. [Gosnell] performed a procedure of a 29.4 weeker, and um, I haven’t been the same since. I had to, uh… He [the baby] was on my station, and… I remember praying over him. I covered him. I had to put him out of my sight until the doctor came in. … I gave him a name. To me, he would have been a linebacker… and I named him Jacob or Jason… it was a “J” name. And um, I just felt that I needed to get some type of justice for him. Sadly, Gosnell is not an outlier in the abortion industry. With the new movie, and testimony from women like Whatley, Americans will hopefully see how harmful the abortion industry really is — and how rewarding it is to choose life instead.